Georgia Nail Technicians, Estheticians, and Cosmetologists are required to complete 5 hours of continuing education every renewal cycle. Nail Technicians and Estheticians are due August 31st of every odd year and Cosmetologists are due March 31st of every even year. Our Georgia Beauty Essentials is approved for 5 hours by the Georgia Board of Cosmetology. When you have finished the course, click on the BUY NOW button above. After you purchase the course, we will email you your certificate of completion. If you purchase after 1:00 pm CST, we will email your certificate the next business day. Completing your Georgia cosmetology continuing education is a simple process. Georgia nail technicians, estheticians, and cosmetologists must fulfill a requirement of 5 hours of continuing education to renew their Georgia cosmetology license. Our online correspondence continuing education classes are approved to fulfill the Georgia cosmetology continuing education requirements. That said, not all online correspondence continuing education courses are approved in Georgia for license renewal, so before taking a course other than ours, you will want to make sure that the course is approved. If your continuing education provider is not approved by the Georgia State Board of Cosmetology and Barbers, then the course will not count towards your continuing education hours needed to renew your license. Do you report my results to the Georgia Board of Cosmetology? No. We do not report continuing education results to the GA Board of Cosmetology. At the time of license renewal, each licensee shall certify to the Georgia State Board of Cosmetology and Barbers that he/she has completed the required continuing education. Do you offer any continuing education training that is not online correspondence? 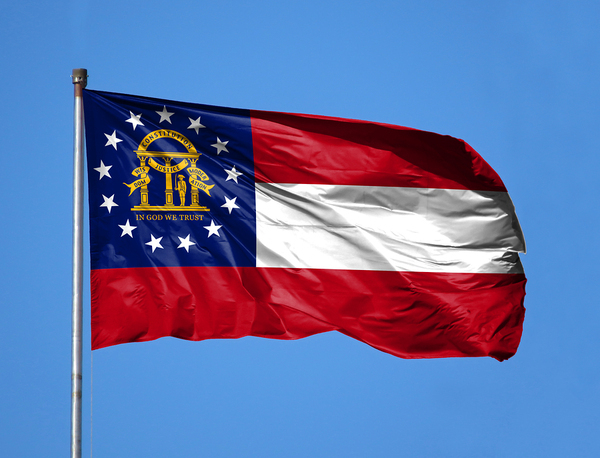 We offer correspondence continuing education to renew your Georgia license. 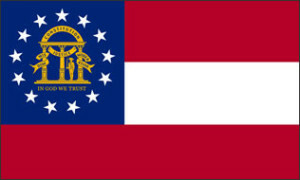 We do not offer any classroom continuing education courses for Georgia. We find that most students prefer to complete their continuing education online on their computer, smartphone, or tablet. Yes, all graduates of our Georgia cosmetology continuing education course will receive a certificate of completion. We can either email, mail, or fax the certificate to you. Do I need to provide my certificate to the Georgia Board of Cosmetology to prove that I completed my continuing education when I renew my license? The Georgia Board of Cosmetology may ask you to provide them with a copy of your continuing education certificate so be sure to hang on to it. Yes, our courses are approved by the Georgia State Cosmetology Board, and will fulfill your continuing education requirements. Do I have to finish the entire course in one sitting? No, you can complete your entire Georgia cosmetology continuing education course today, or over the course of several days, picking up right where you left off. Yes, our courses are mobile compatible. You can take our courses on your smartphone or tablet, in addition to our computer or home study versions. No. Completing your continuing education credits does not complete the renewal of your license. Once you have completed all of your required continuing education, you must pay the Georgia State Cosmetology Board the license renewal fees, as we cannot do that for you. What if I still have questions about completing my continuing education? No problem. Just call our continuing education specialists at (888)290-9739 or email us at support@beautyce.com and they can walk you through what you need to do to complete your Georgia cosmetology continuing education requirements. Georgia – It doesn’t matter whether you want to complete our Georgia cosmetology continuing education in Atlanta, Savannah, Augusta, Marietta, Athens, Macon, Alpharetta, or Roswell – our online and correspondence cosmetology continuing education courses can be completed from anywhere.